Douglas Cardinal will be sharing the way Indigenous people approach planning through working with nature, including wood. Many years ago, Mr. Cardinal was asked to work with Oujebougoumou and Ross River First Nations to bring proper housing and planning to the communities. Over the years his design-approach has evolved using the latest engineered timber products. Douglas Cardinal, Architect, O.C., Ph.D. (h.c.), B.Arch, O.A.A., A.A.A., S.A.A., A.I.B.C., A.I.A., NCARB, R.C.A.A., F.R.A.I.C., F.R.I.A.S., F.R.S.C. Douglas Cardinal’s architecture springs from his observation of Nature and its understanding that everything works seamlessly together. In recognition of such work, Cardinal has received 21 Honorary Doctorates, Gold Medals of Architecture in Canada and Russia, and an award from UNESCO for best sustainable village. He was titled an Officer of the Order of Canada and was awarded the declaration of “World Master of Contemporary Architecture” by the International Association of Architects. 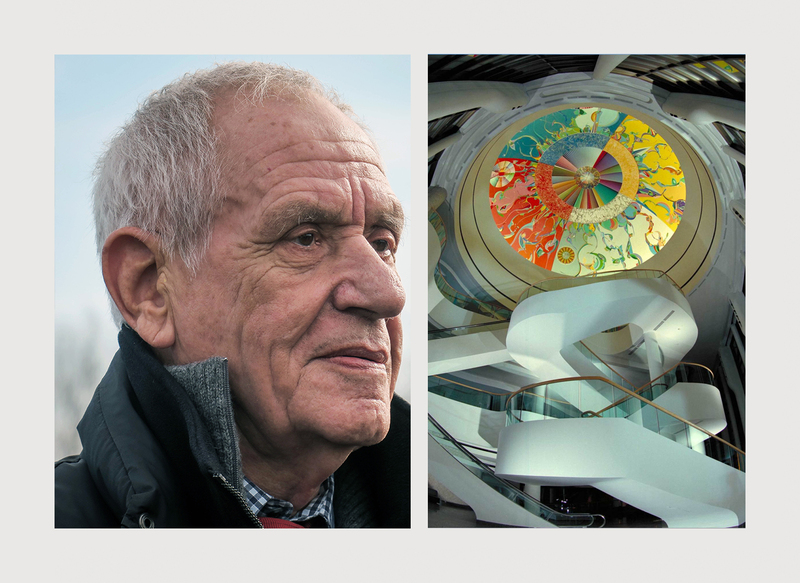 Douglas Cardinal is one of the visionaries of a new world; a world where beauty, balance and harmony thrive, where client, architect, and stakeholder build together with a common vision.